FBI agrees with CIA that Russia was trying to help Trump win election. 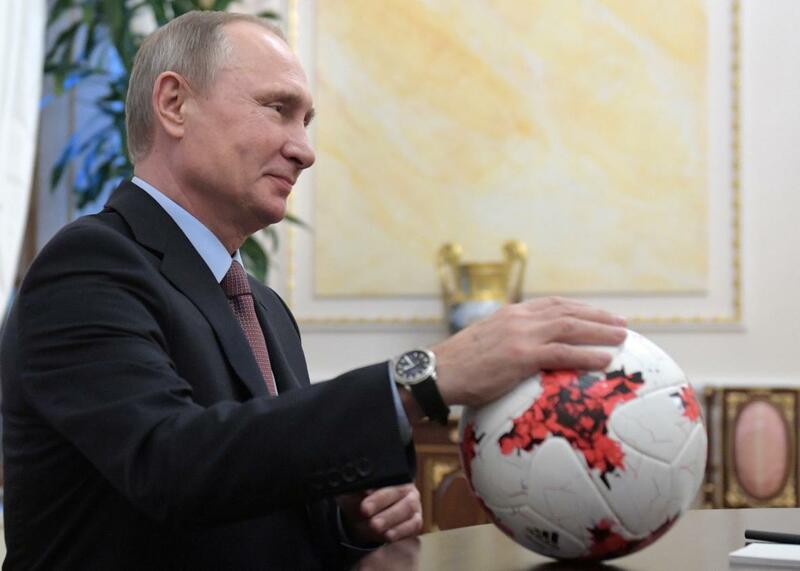 Russian President Vladimir Putin places his hand on an official match ball for the 2017 FIFA Confederations Cup during a meeting with FIFA president at the Kremlin in Moscow on November 25, 2016. Despite what has been said over the past week, there is no grand disagreement within the intelligence community about one of the motivations behind Russia’s intervention in the U.S. presidential election: everyone believes Moscow was trying to help Donald Trump get elected. This agreement within the intelligence community was made clear in a message that CIA Director John Brennan sent to employees Friday, which was first reported by the Washington Post but then confirmed by numerous outlets. After meeting with FBI Director James Comey and Director of National Intelligence James Clapper the conclusion is that “there is strong consensus among us on the scope, nature, and intent of Russian interference in our presidential election,” Brennan wrote to employees. An intelligence source tells NPR sources say that media reports that claimed there was some sort of deep disagreement between the CIA and FBI on the issue were really blowing things out of proportion. “A game of telephone on Capitol Hill led to a conflict narrative,” the source said. “There’s no gulf here. The facts are the same.” The Washington Post notes the narrative is due to the fact that the FBI counterintelligence official who briefed lawmakers was not as categorical as his or her CIA counterpart but their positions weren’t really that different to begin with. President-Elect Donald Trump had emphasized reports of the disagreements within the intelligence community to raise questions about the credibility of the hacking claims. It seems the reports of disagreement were really due to a question of emphasis. The intelligence sources say everyone is on the same page that Russia’s hacking had multiple purposes and wasn’t just to get Trump into the White House. “Mostly they wanted to build uncertainty and challenge faith in the American election system,” one official tells NBC News.